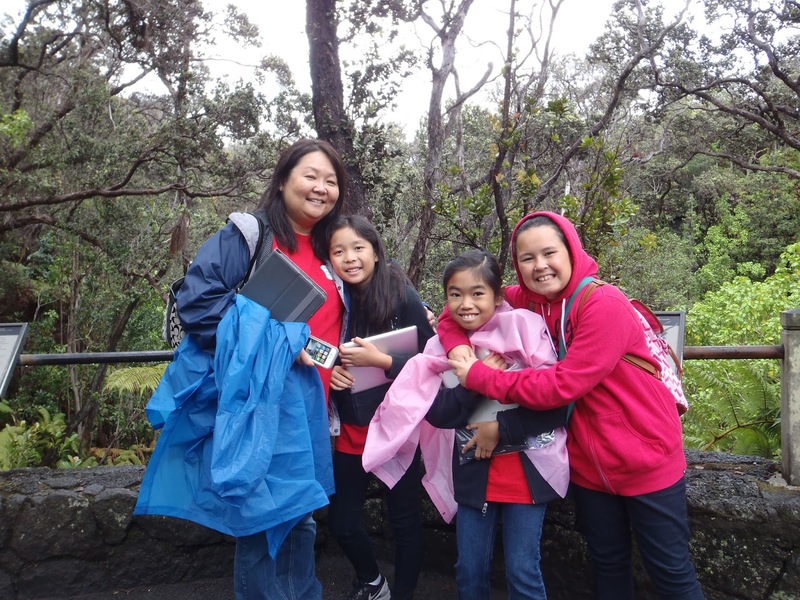 The fourth graders returned from their three-day huaka’i (journey) to Hawai’i Island with a greater understanding of the geology and history of the Islands. 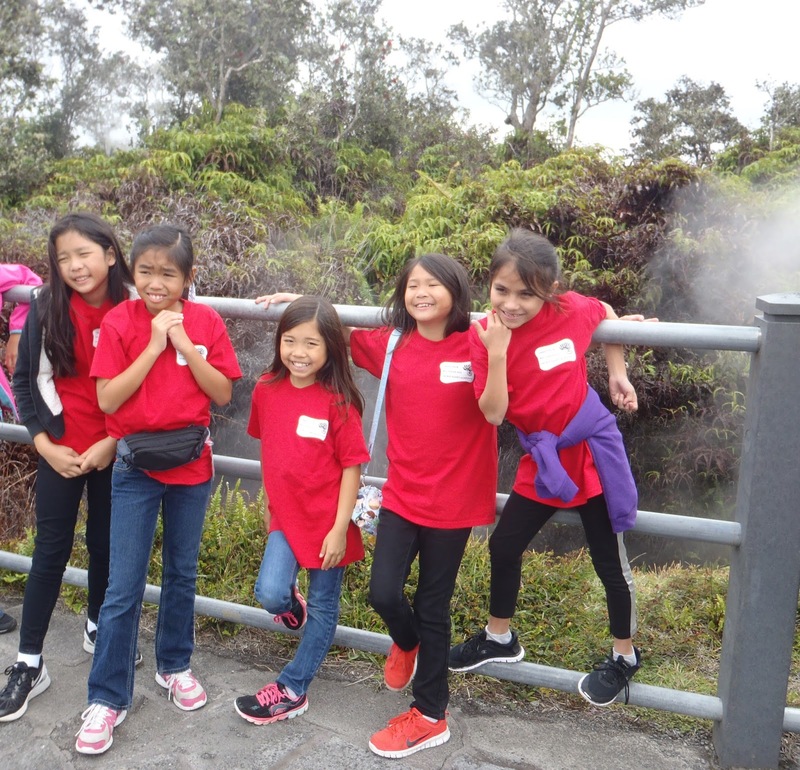 During their travels, the students hiked all over the volcano, searched through lava rocks, smelled the sulphur steam, tasted ohelo barries, touched the ‘Ohi’a Lehua (flower from the Ohi’a tree) and hapuu fern and enjoyed exploring nature, having roommates and swimming in the hotel pool! They also learned from park rangers, listened to mo’olelo by Kumu Hula Pohai Souza and Carol Young, prayed, chanted, sang, danced hula, learned about Tsunami history, explored the petroglyph fields and the remains of Pu’u Honua O Honaunau (place of refuge) and worked on their iPads to document the trip.